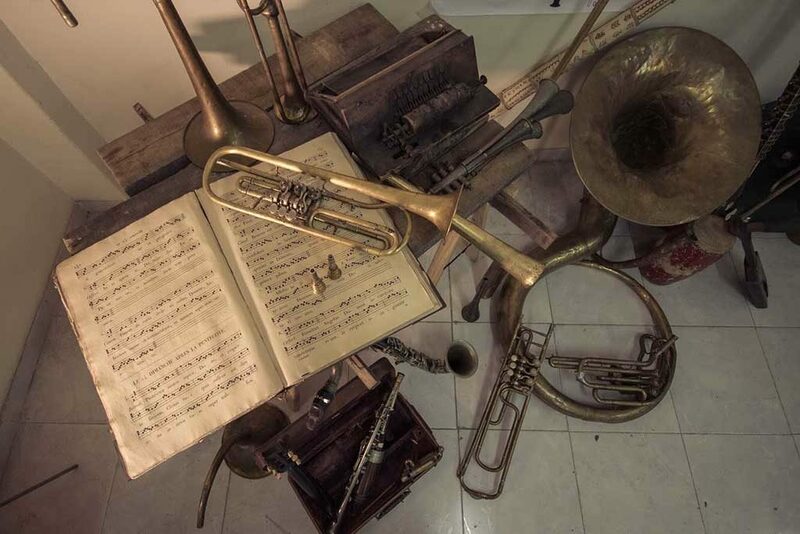 Ringing in the past is the name for an instrument exhibition which Cupeiro shows through a monologue-concert. 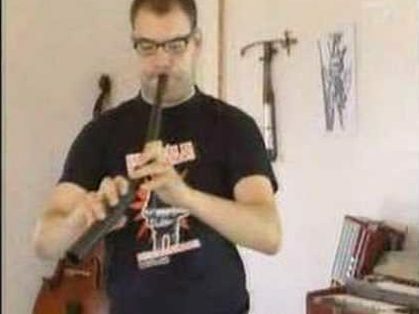 The sounds of wind instruments will take the listener to the oldest days of our species. It is the result of Abraham´s passion for instruments, and his will to bring back as many as possible, from any time and place. Karnyx: He took for all reference the picture on a roman coin. Surprisingly enough, his guess was only 3cm different from the one found in Tintignac. Cornu: Built after the plans of an original piece of amazing sonority found in Pompeii. 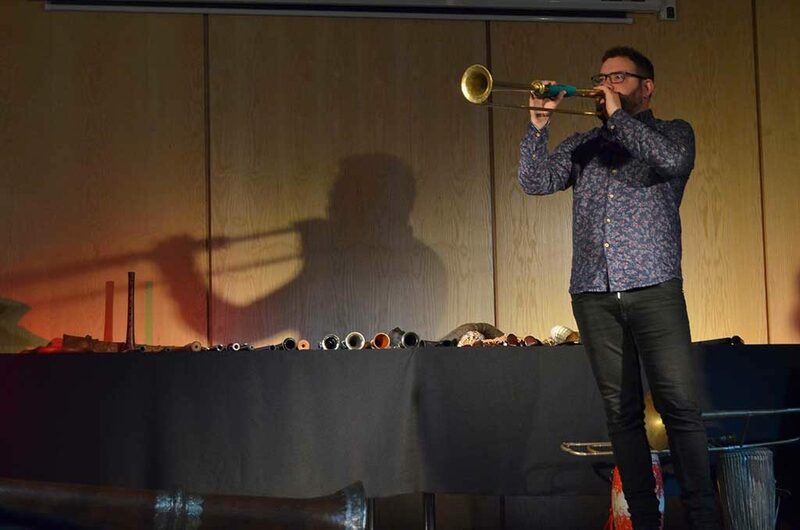 Natural trumpet: The first instrument he built, using the same techniques which were available during the 17TH century. Some other pieces have come with him from his trips…. 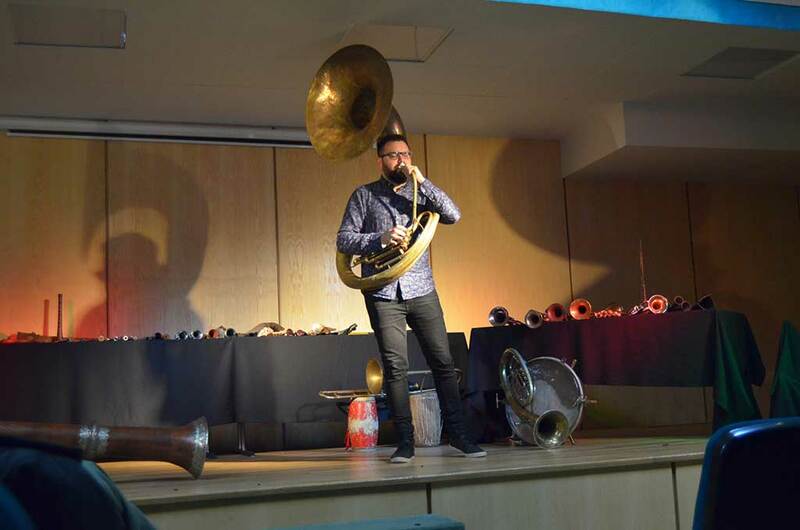 Raf Dung, Gaida, Shofar, Chalumeau, Toba, Schalmei, Zurna..
Ringing in the past started touring in 2006. 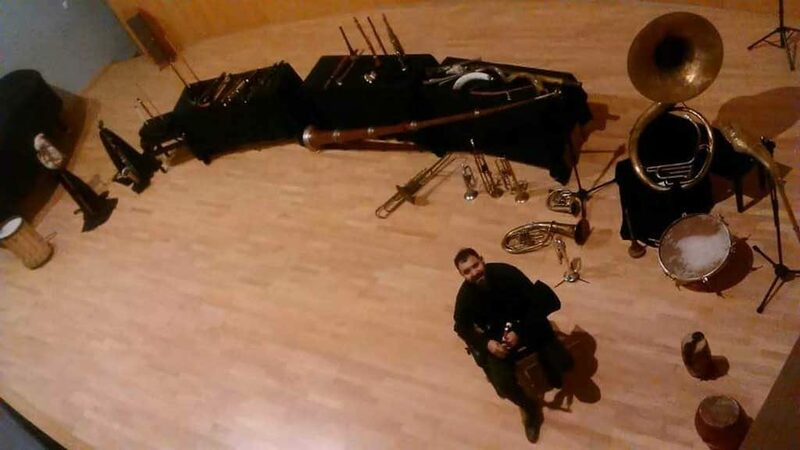 Since that moment, over 40000 people have enjoyed this concert, where Abraham plays over 100 instruments live. The collection shows pieces of every kind, from many places and times. 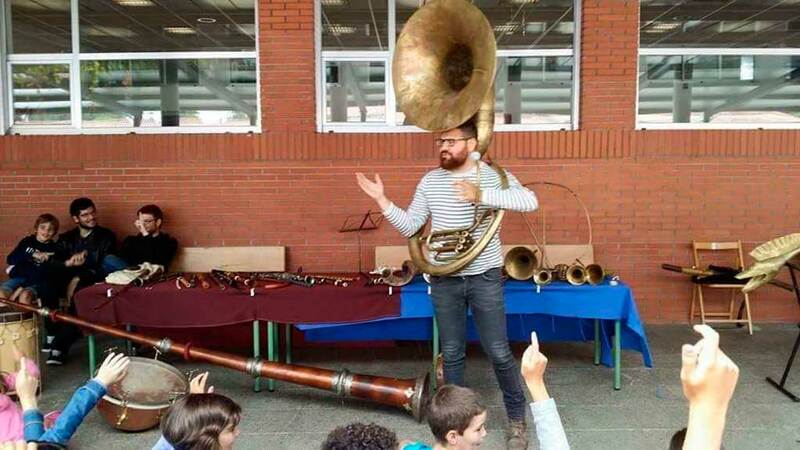 One can find either a tiny bone flute - reproducing the ones dated about 46000 b.C.- or a huge Sousaphone, original from the 19th century. 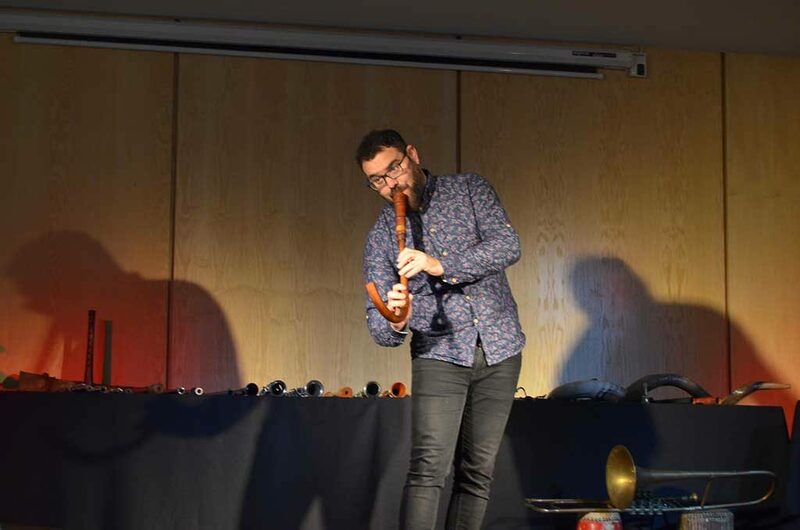 They all sound again during the concert, linked by interesting stories and anecdotes which bring the audience closer to the human side every instrument has. 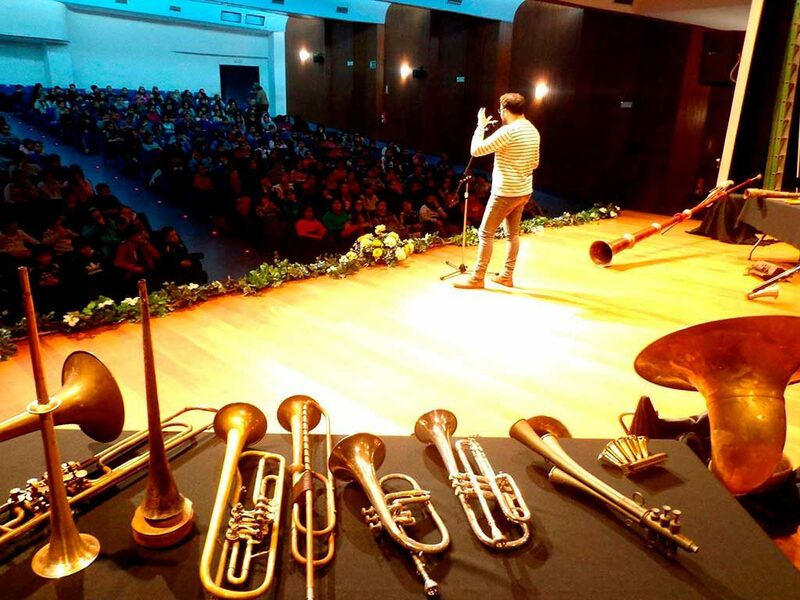 Pedagogical, amusing and, most important, full of emotion, Ringing in the past is a concert for all audiences!